I recently based inside the volcano during dry season and forgot something in base, so I went out and got a weird bug. The clock inside and outside the volcano shows different days and the paused popup shows an additional (different) day. This problem still occurs after restarting the world. 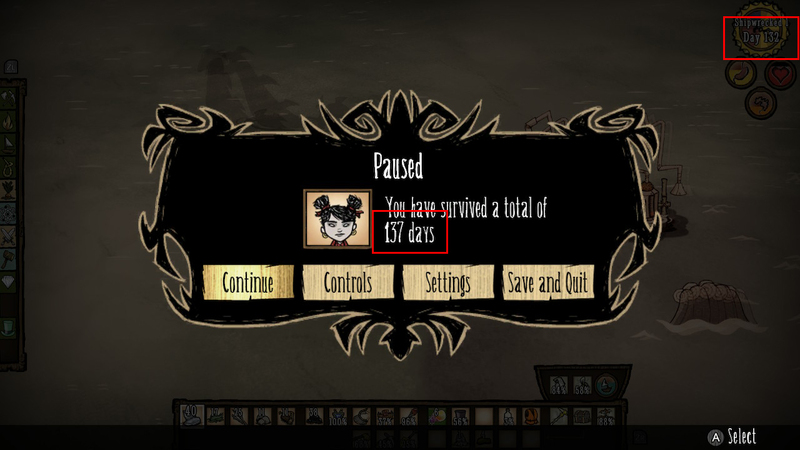 It's not game breaking but now I can't trust the clock anymore and have to check the paused popup (to know how many days until next season). Not sure, but spend a few days inside the volcano and snackrifice something to the altar. Then go out and check day counter.